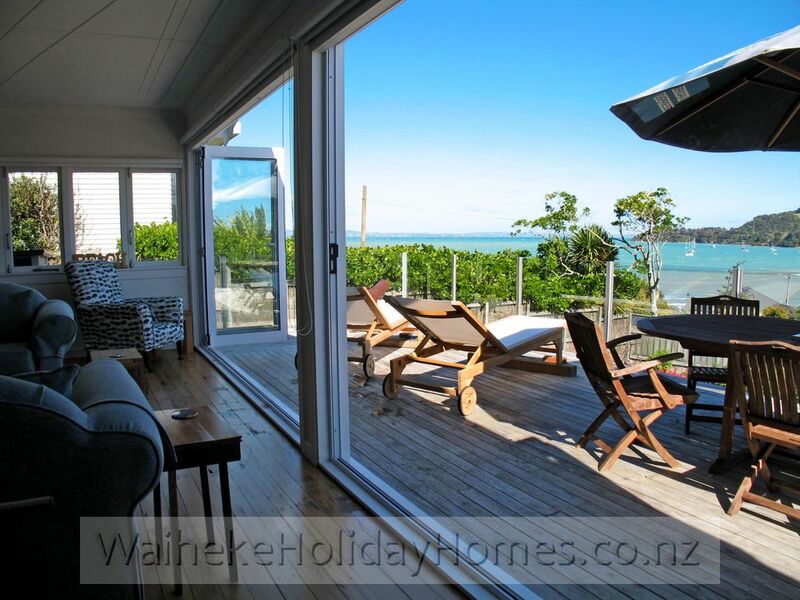 Bask in the privacy of your own sun-splashed bungalow with uninterrupted ocean views, just a few minutes’ stroll from Oneroa’s beaches, village shops and restaurants. 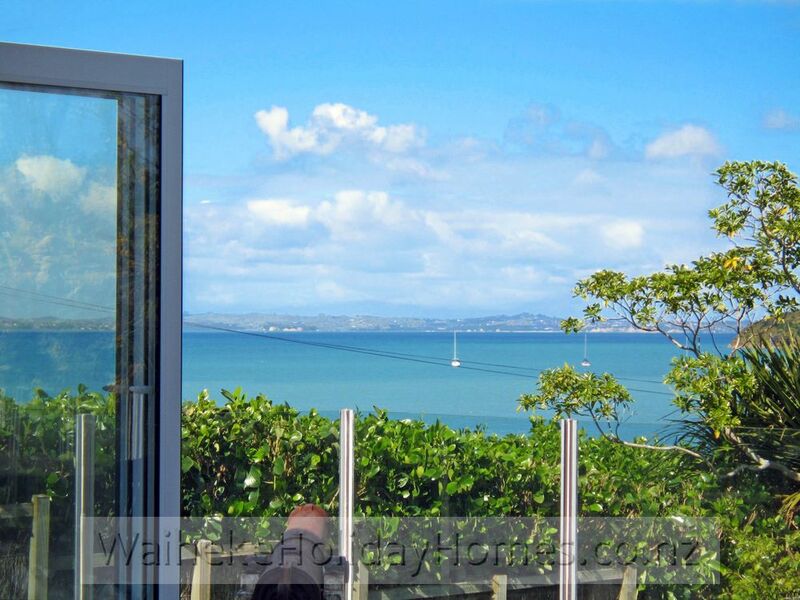 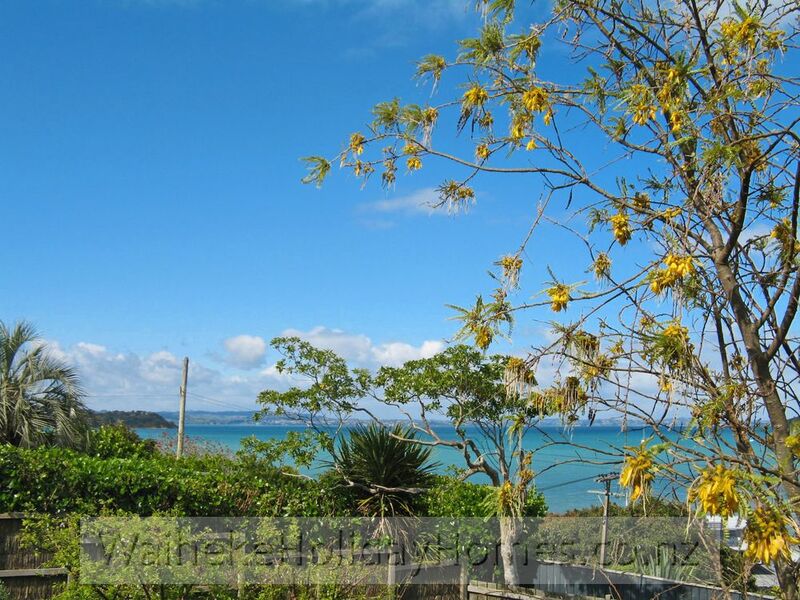 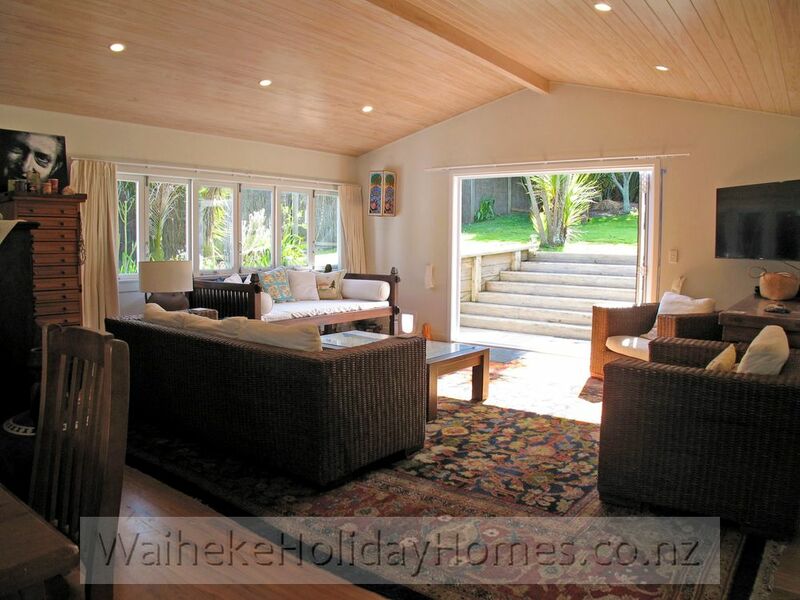 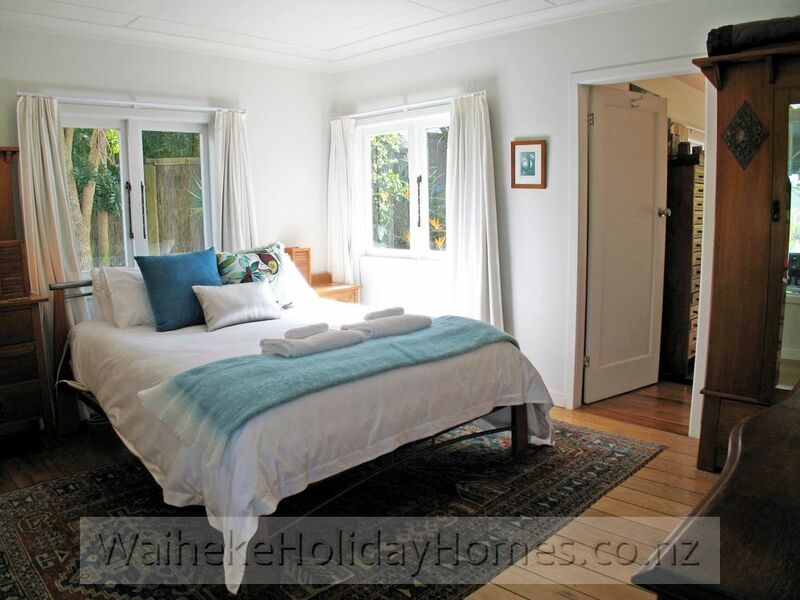 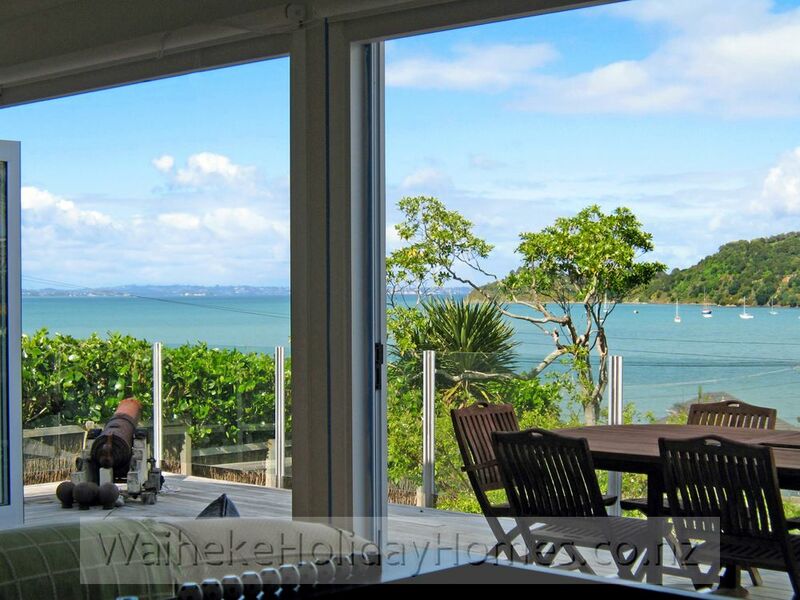 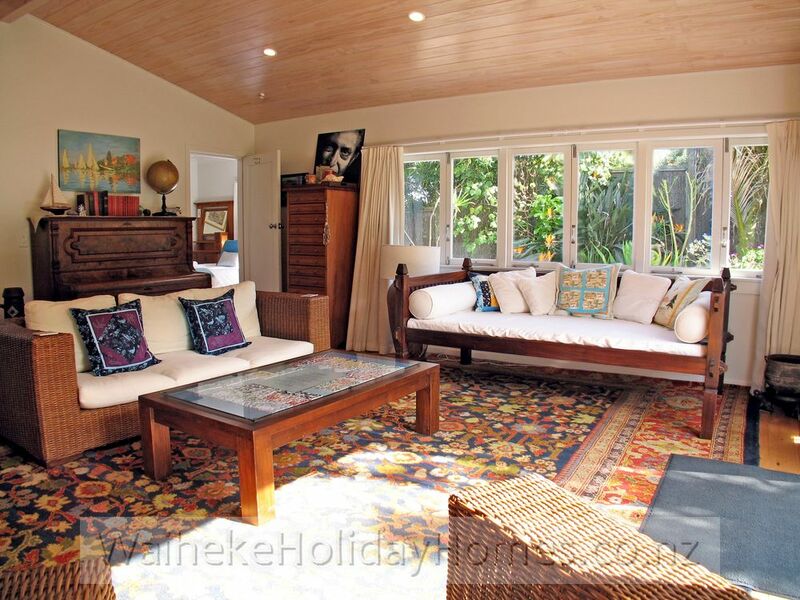 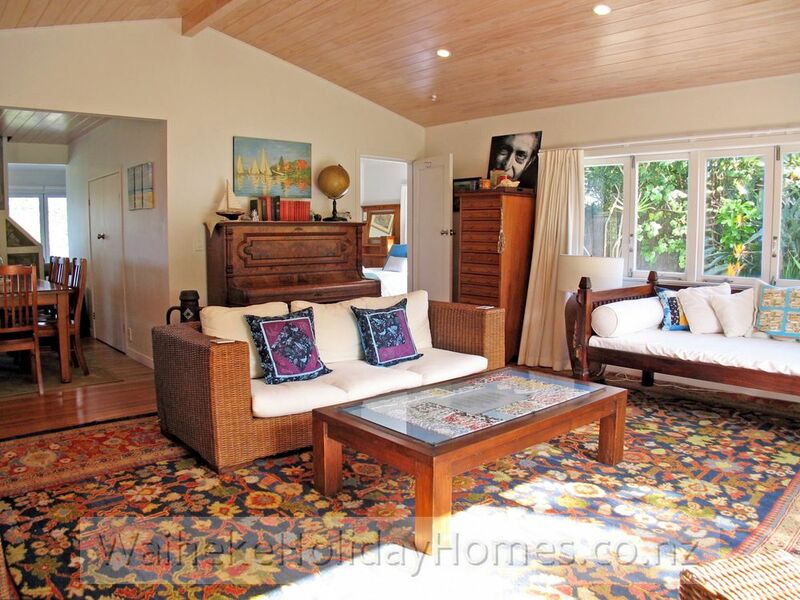 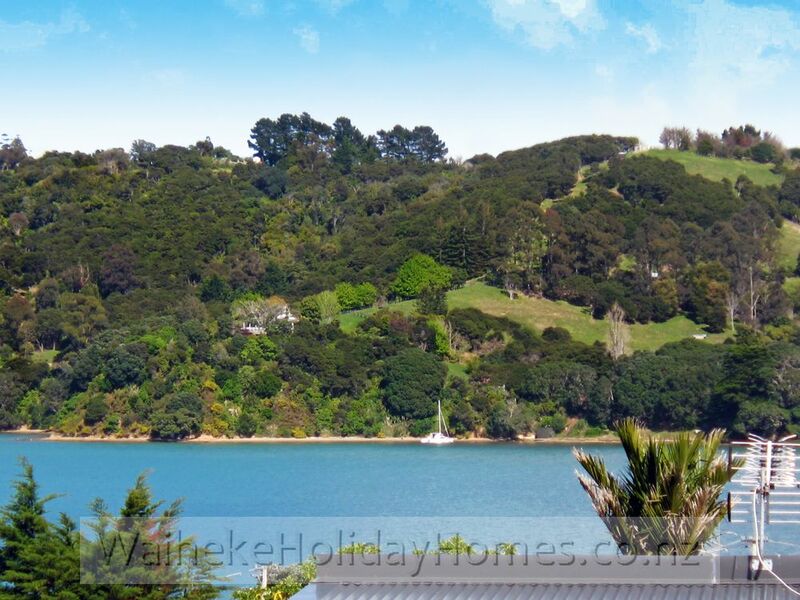 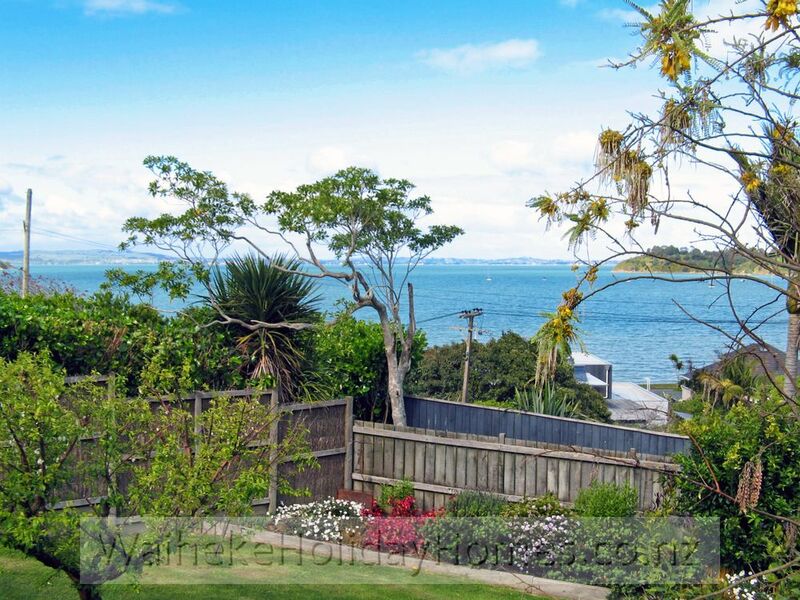 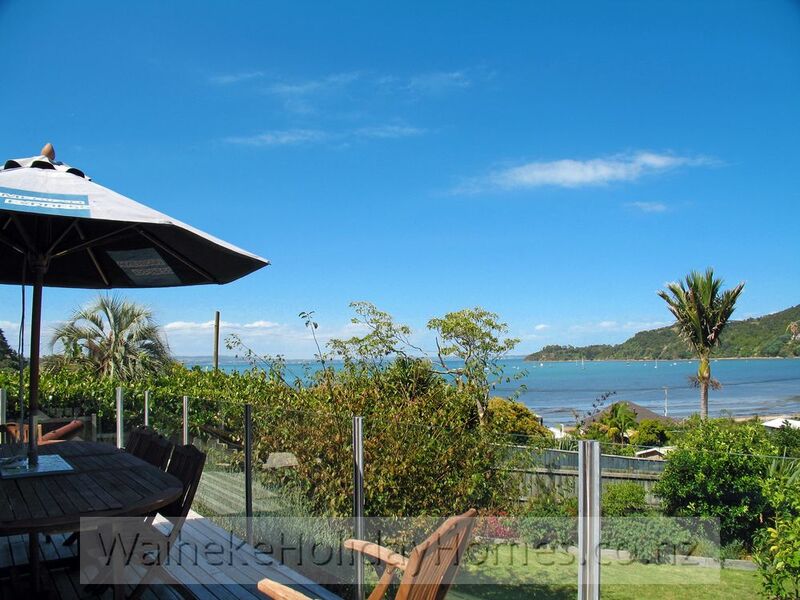 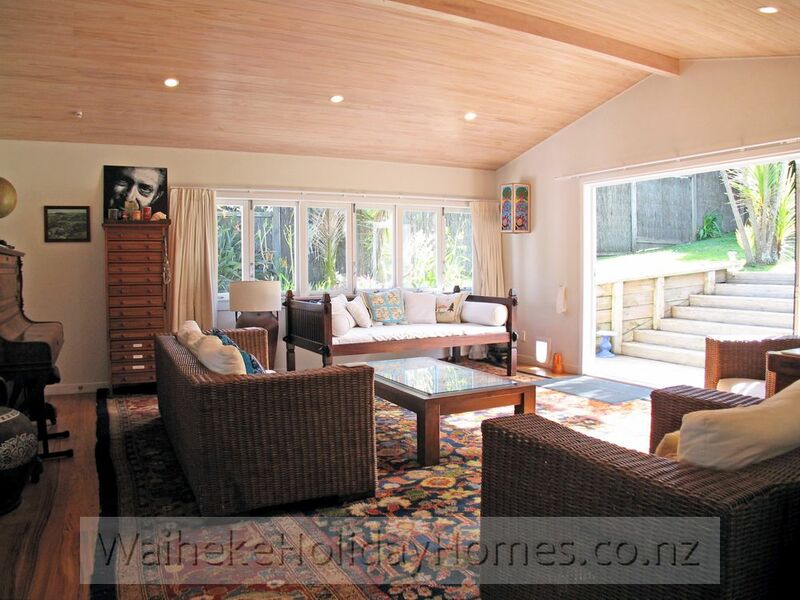 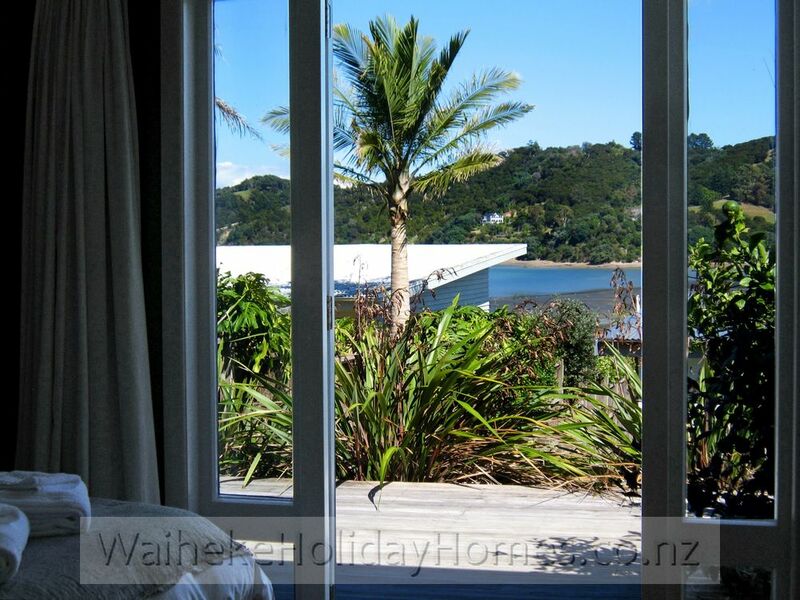 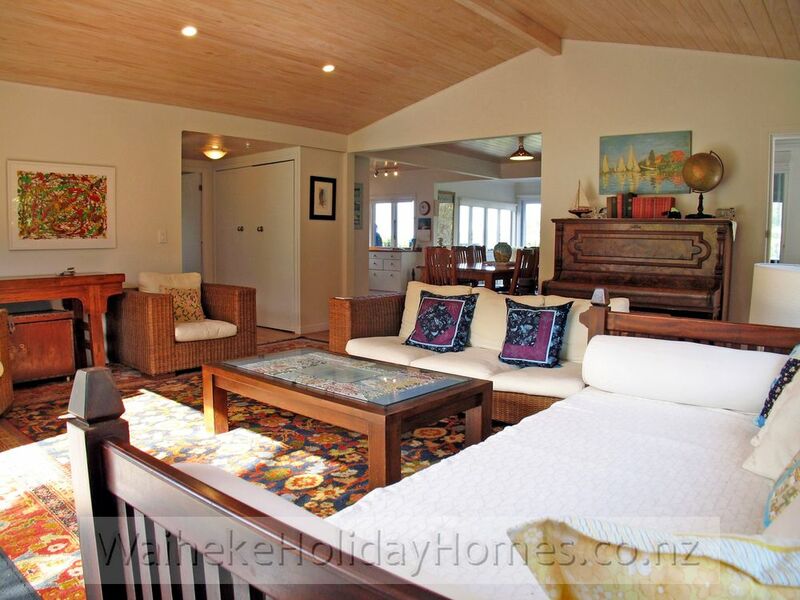 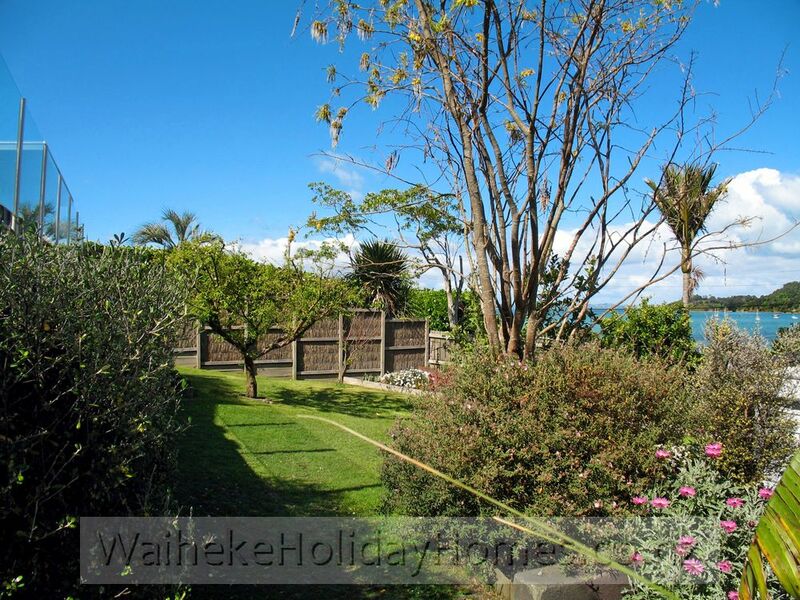 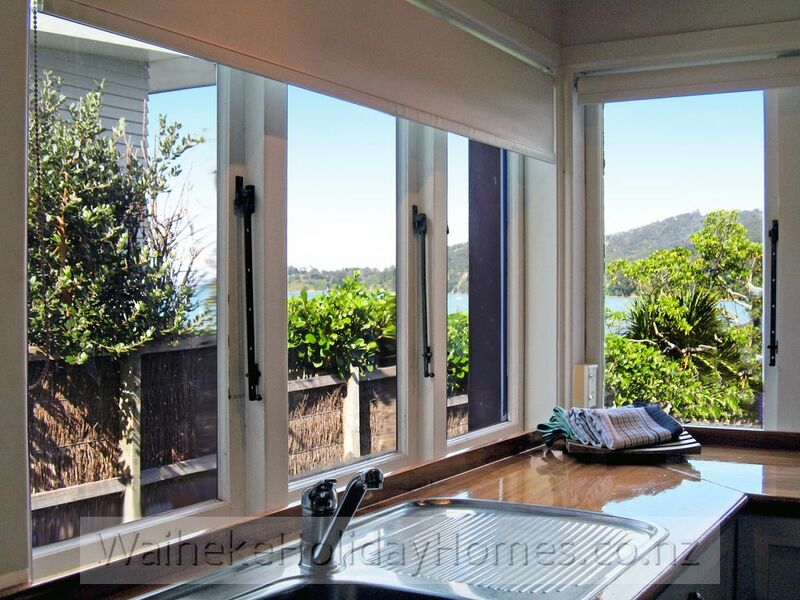 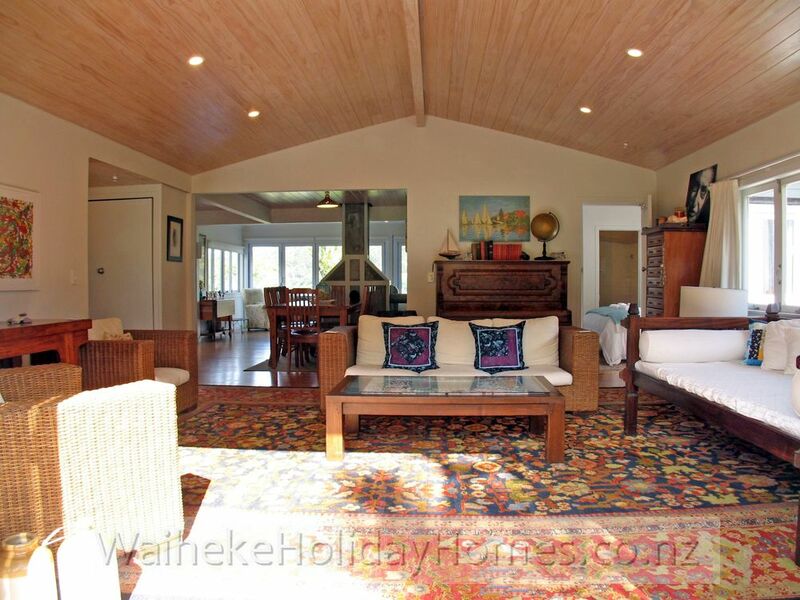 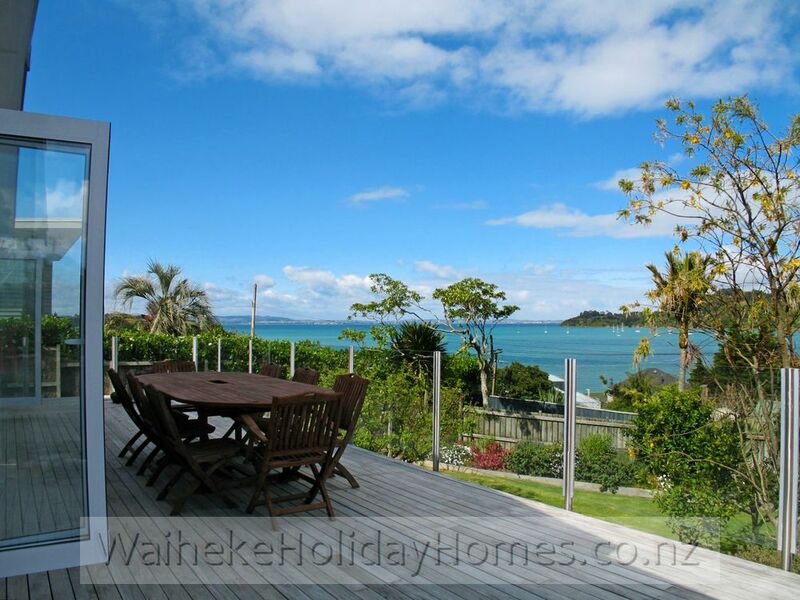 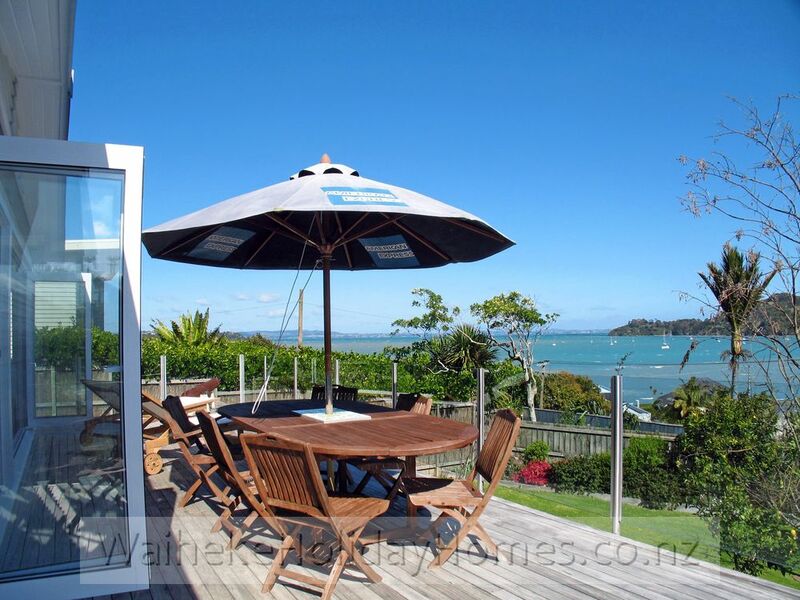 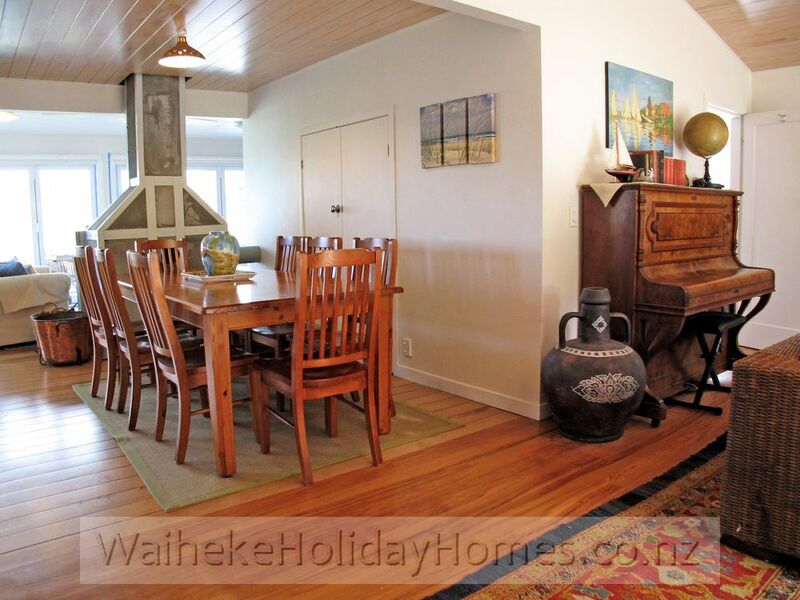 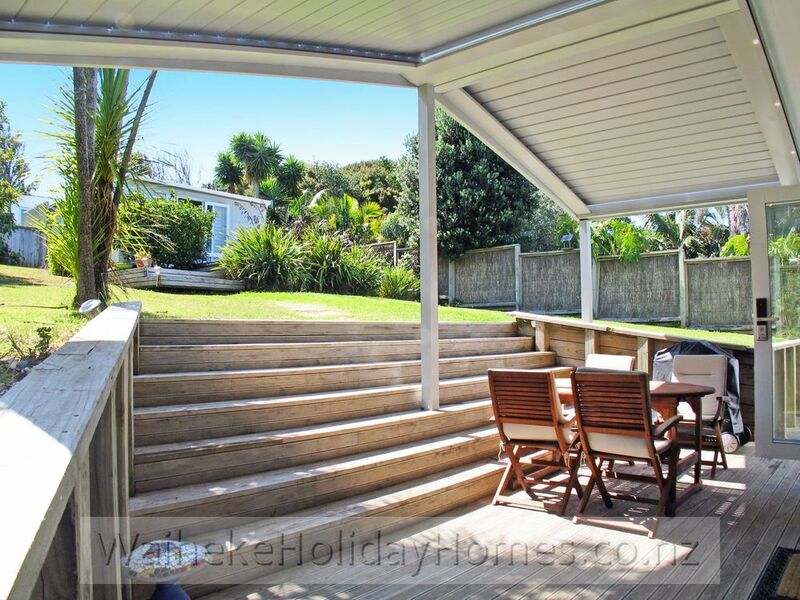 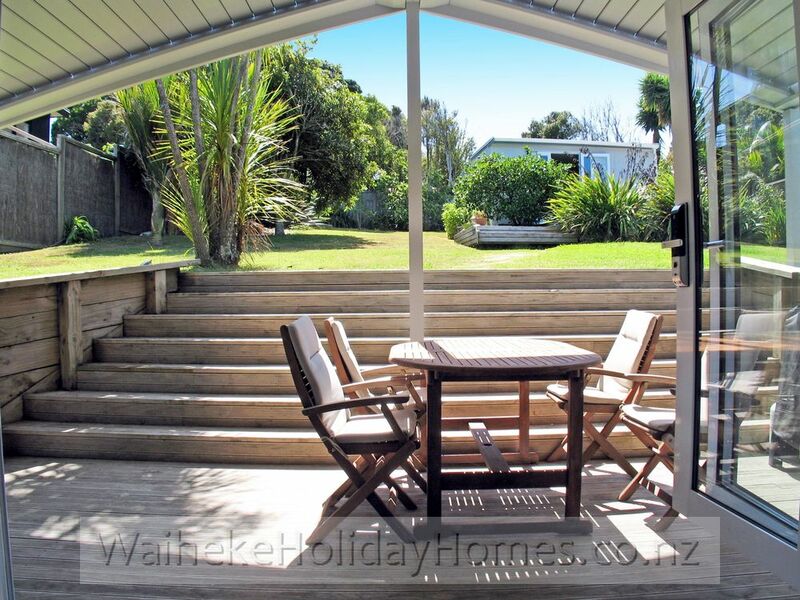 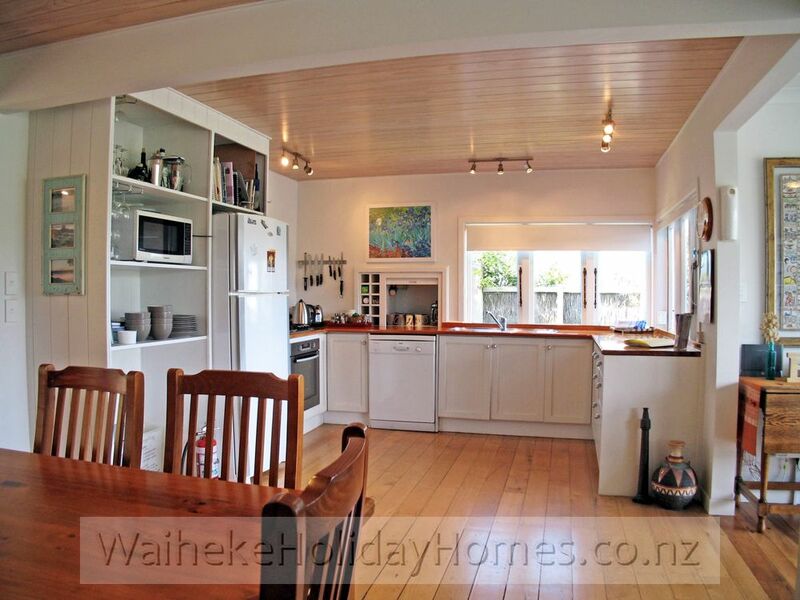 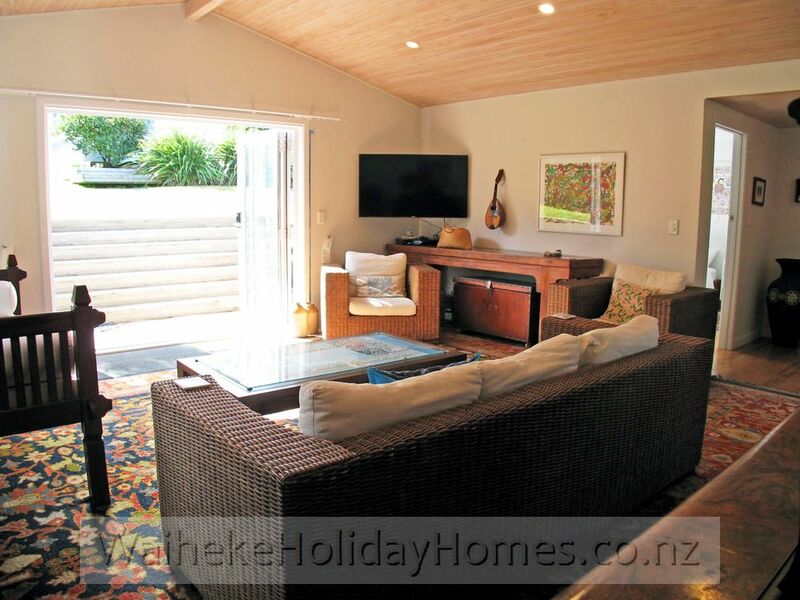 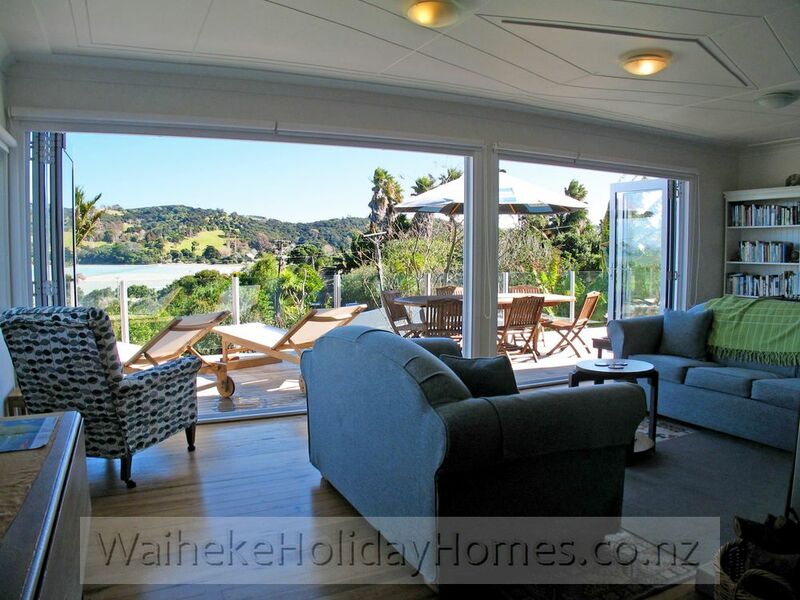 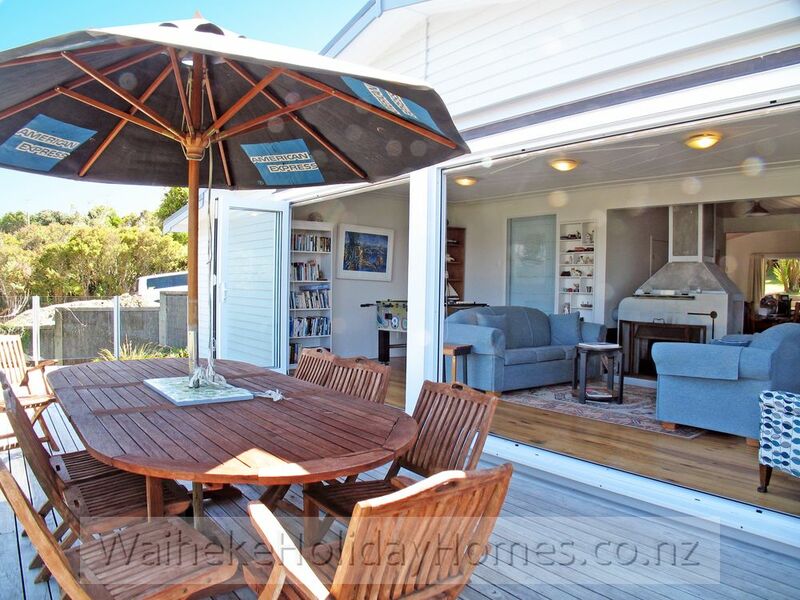 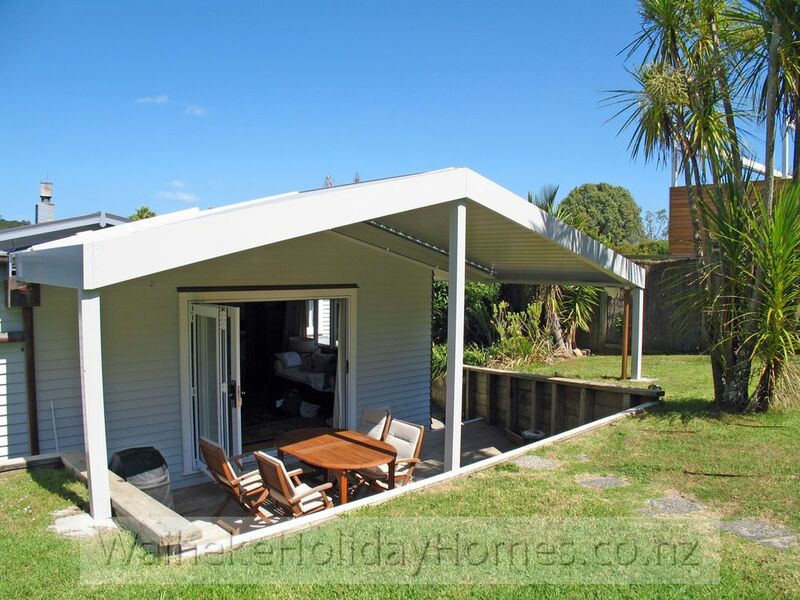 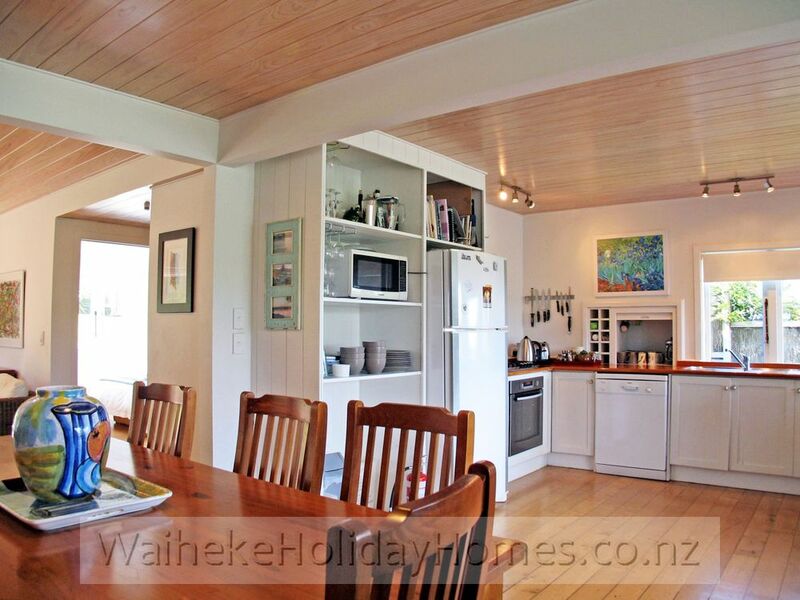 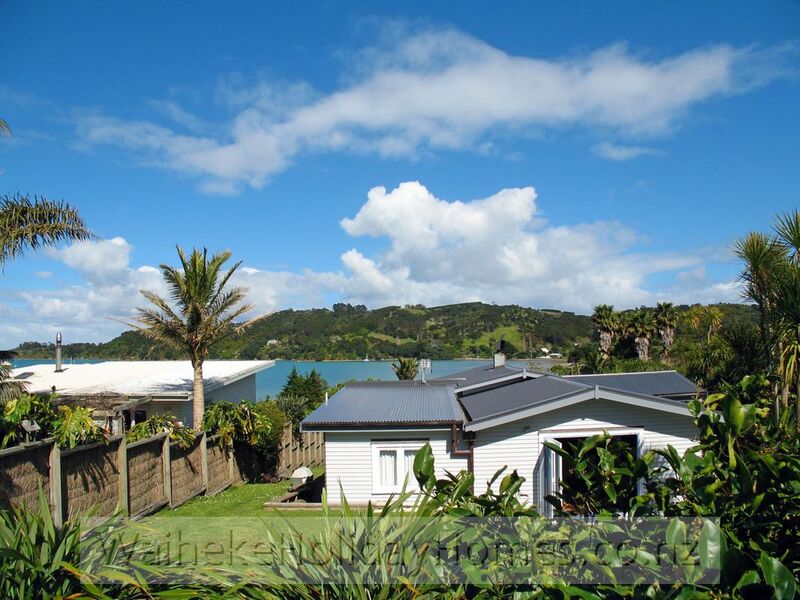 Close to the Matiatia Wharf and Kennedy Point ferries, this spacious Waiheke holiday house is ideal for both total relaxation and more active pursuits, all accessible on foot. 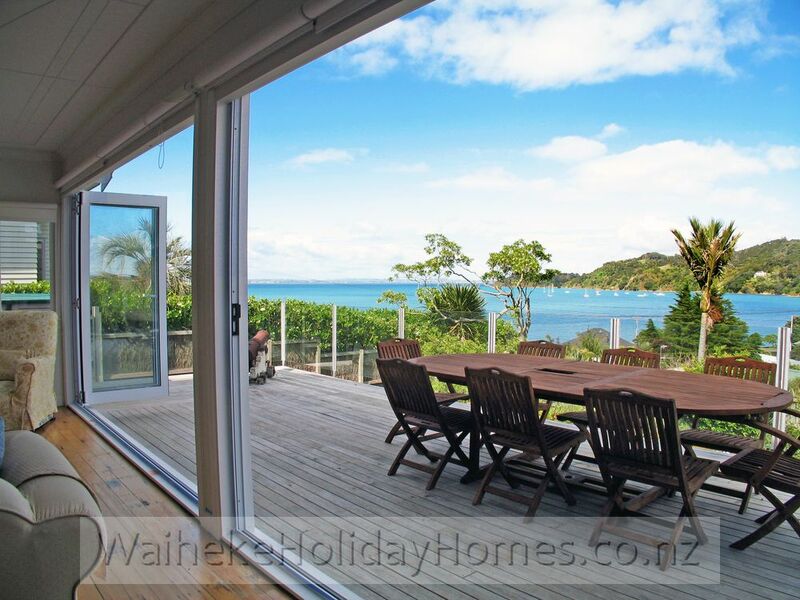 Follow a walking trail to nearby Church Bay, stopping for wine tasting on the way, overlooking the sea. 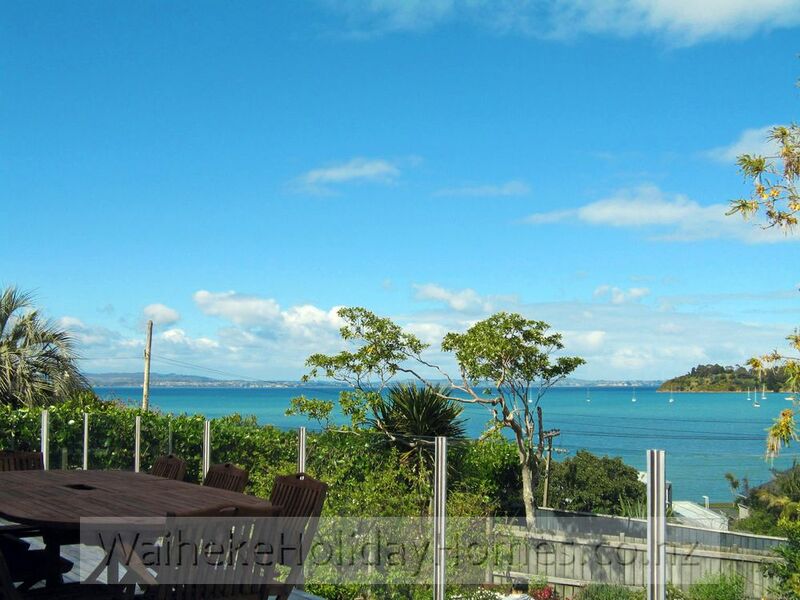 Circumnavigate the island in one of our kayaks, or head down to the beach for sailboard lessons or a bit of sunbathing. 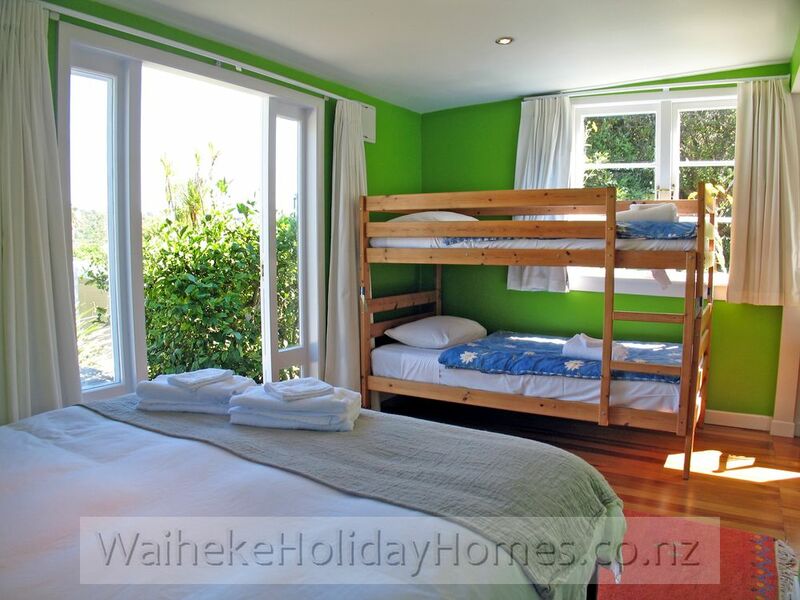 Two bedrooms plus a self-contained studio accommodate groups of up to 8, giving kids plenty of space to themselves for playing games—when they’re not swimming or dabbling in watersports. 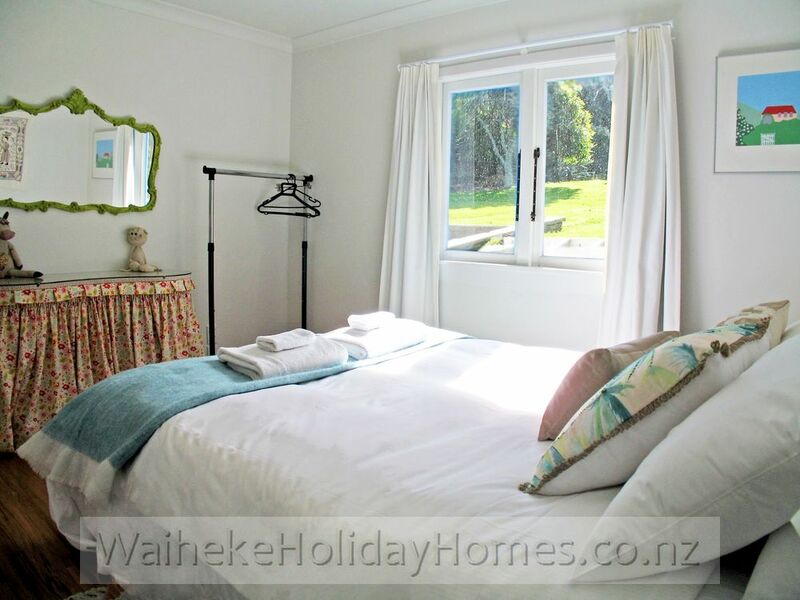 Planning a wintertime stay? 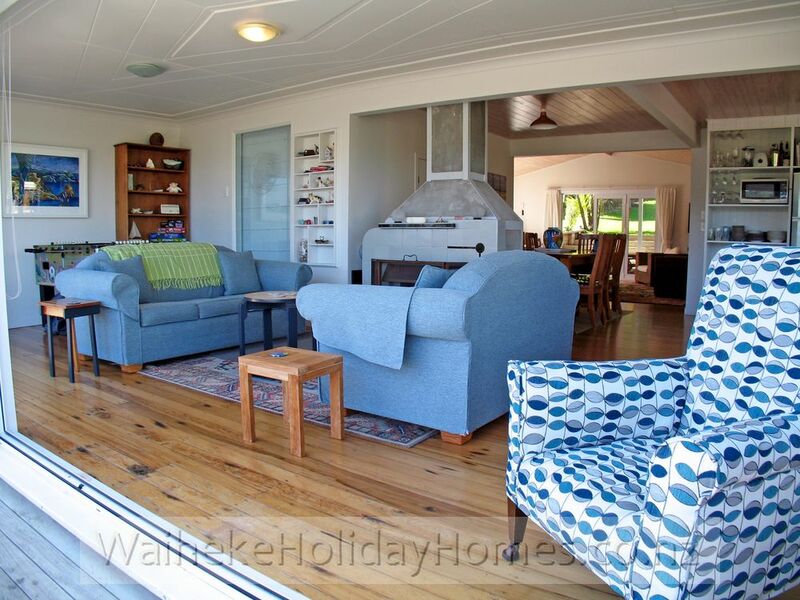 Cosy up to an inviting open fire and watch the boats drift by. 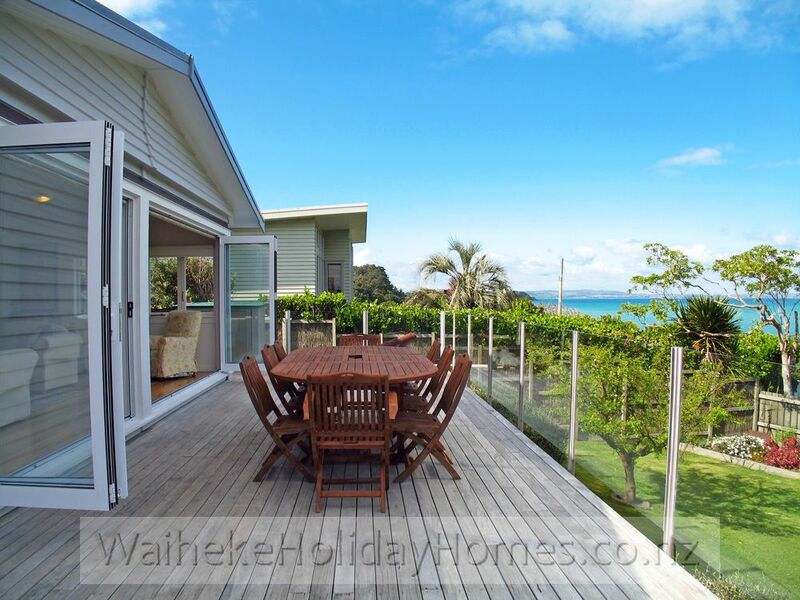 As the sun sets, grill up a barbecue feast on the huge western-facing deck, gather ’round the family table or walk to one of Oneroa Village’s many excellent restaurants. 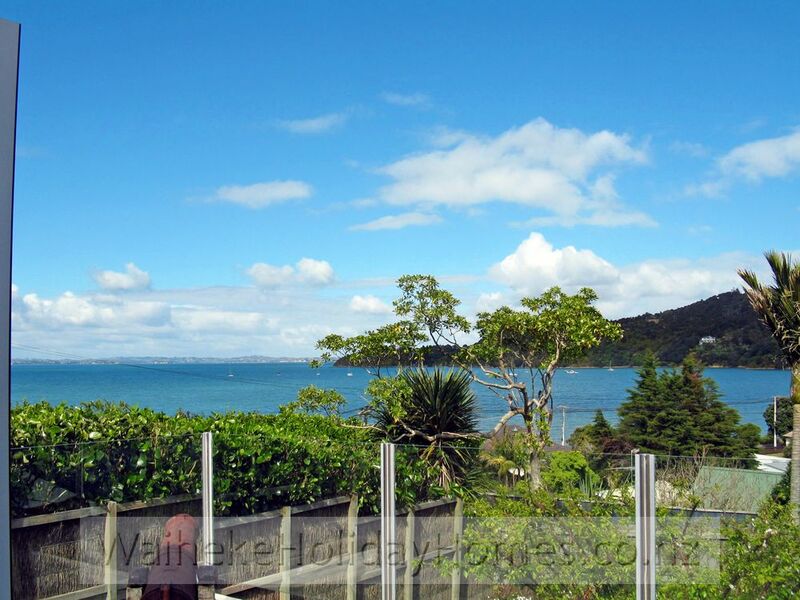 As you make your way home, you’ll be treated to twinkling city lights over the harbour. 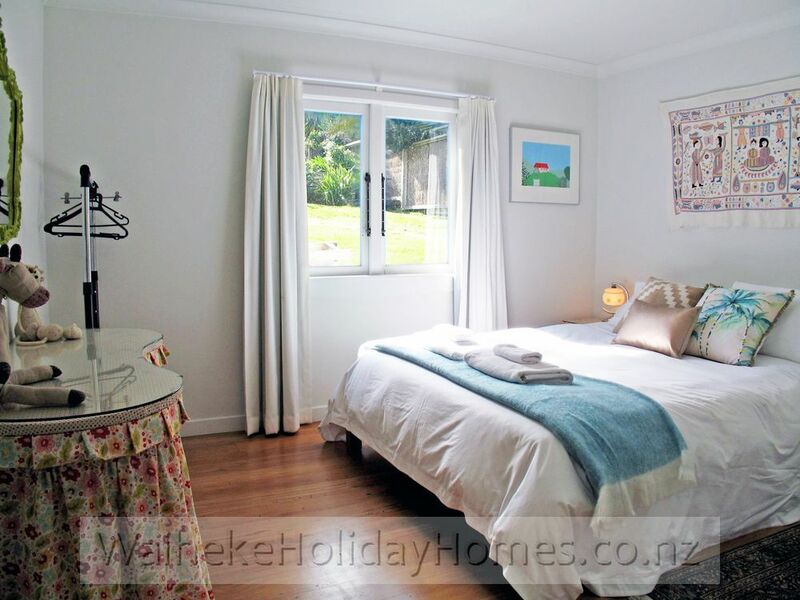 • Bedroom 1: Queen bed, bedside tables, reading lights, electric blankets and drawers, hanging space for clothes. 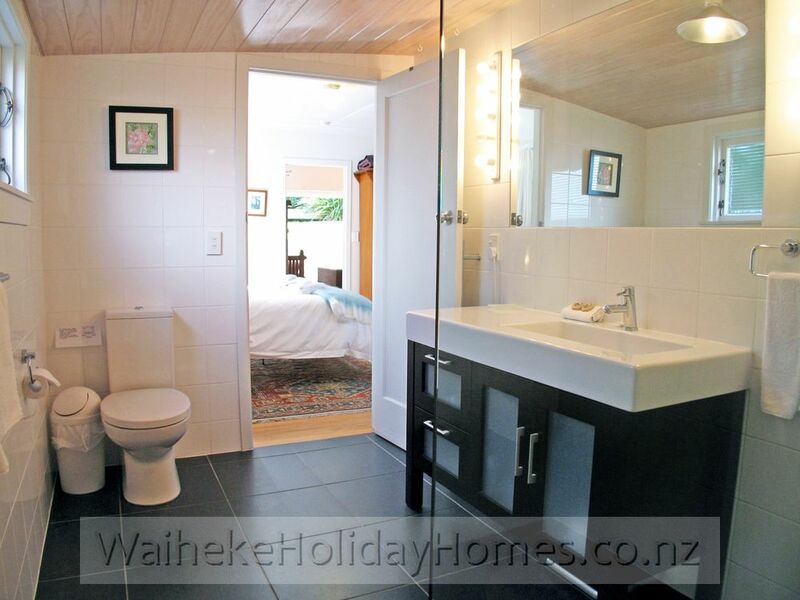 • Bathroom 1: (Ensuite) Shower, vanity and toilet. 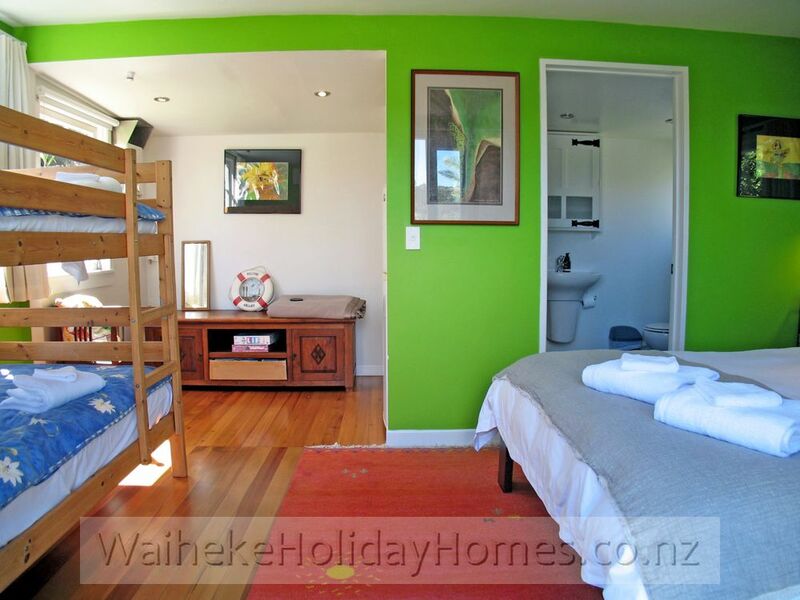 • Bedroom 2: Queens bed, reading lights, electric blankets and hanging space. 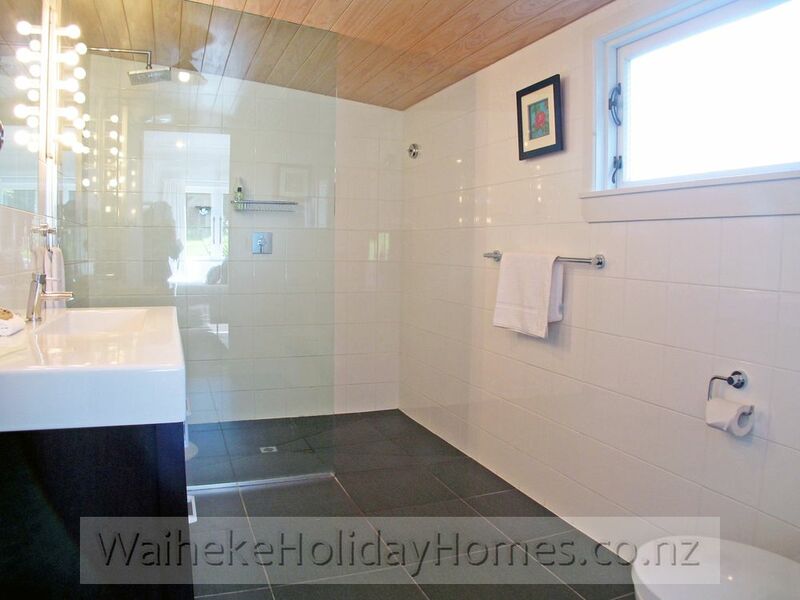 • Bathroom 2: Shower over bath, vanity and toilet. 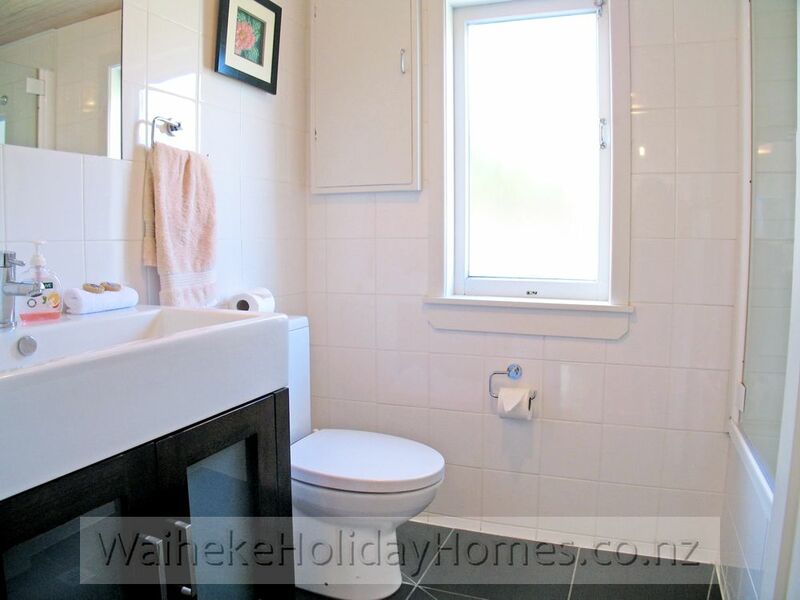 • Bathroom 3: Shower, vanity and toilet. 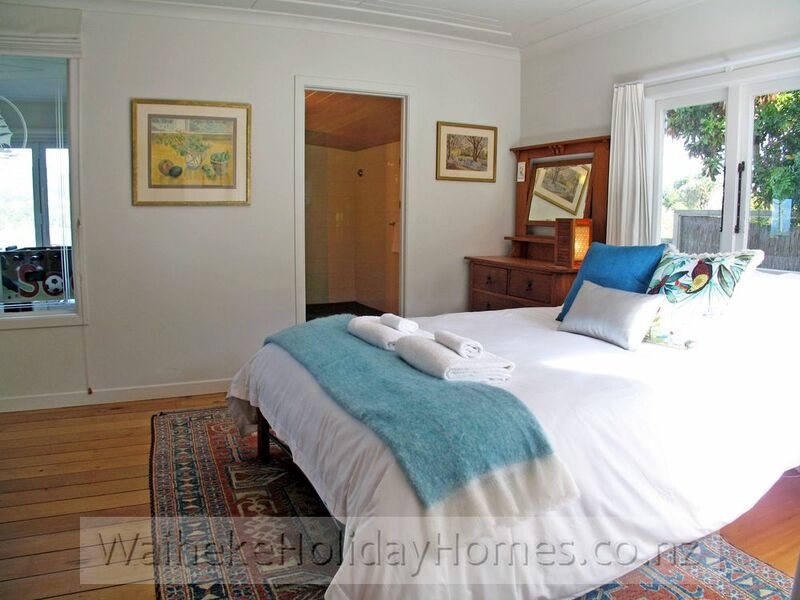 Plus $35 per person to cover linen and exit cleaning. 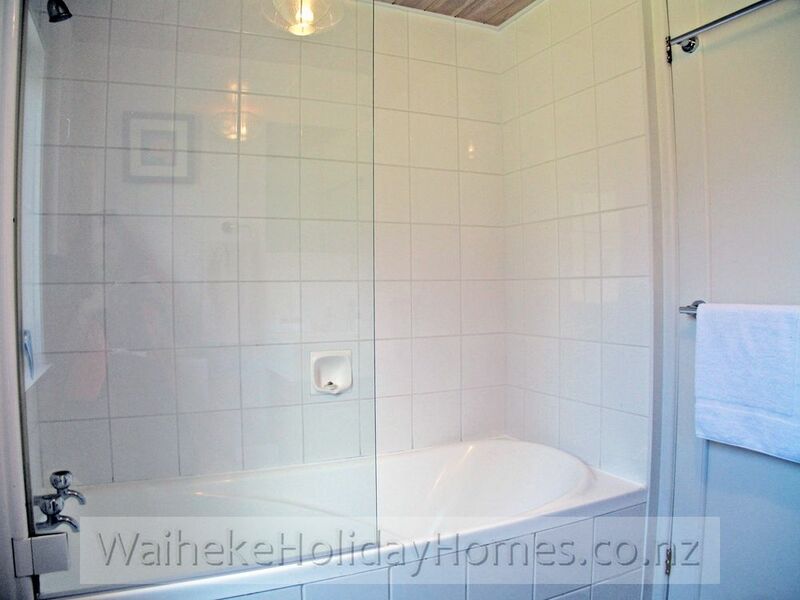 Minimum fee $180. 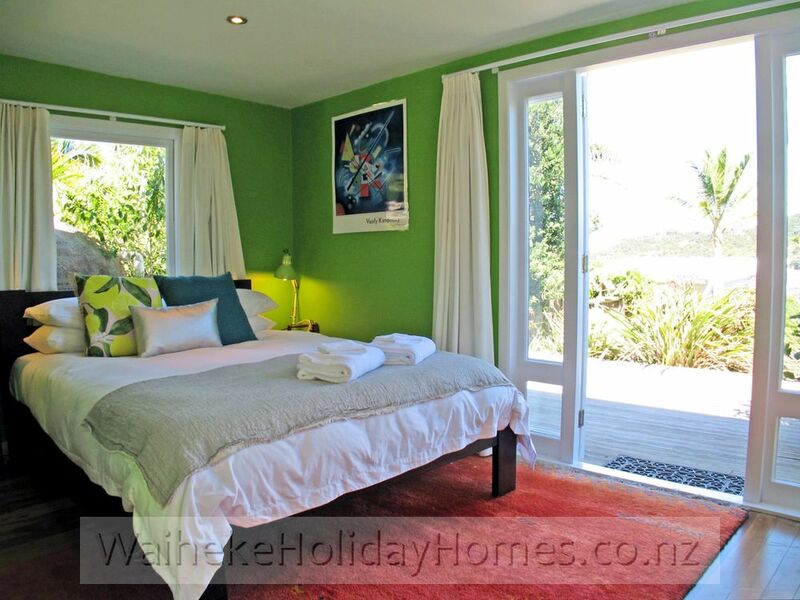 3rd Night Free Deals valid 01 May – 31 Oct (except Public Holiday and 1/2 marathon weekends 4th night Free).